Looking for a place to watch the big game, host a birthday party or just grab dinner with the whole family? Brewtus and family have you covered With locations in West Fargo, ND and Moorhead, MN Brewtus' Brickhouse has you covered in your own neighborhood. Enter to win your own mancave (or womancave) package this football season - every purchase of our Sunday and Monday special enters you in the drawing to win a mancave makeover - complete with your own Brickhouse Bar Rail, bar stools, TV and DirecTV package to keep you the envy on the block! Check out what's new, what's happened or happening here! ALL NEW Your mom would be proud.....or maybe jealous. 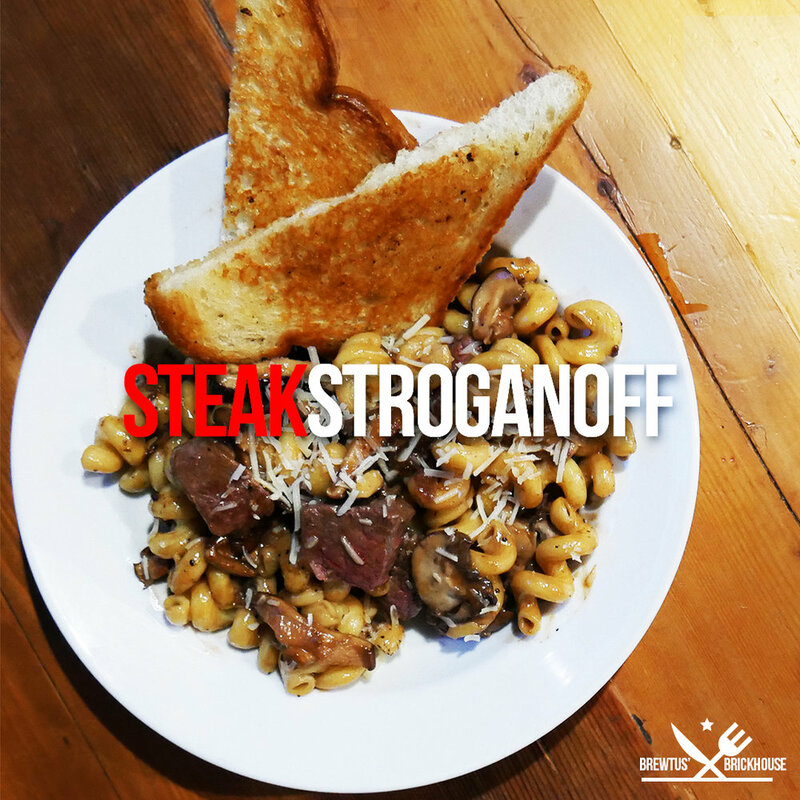 8 Ounces of our Sirloin Bites over Cavatappi noodles with sautéed mushrooms & red onions in our Secret red wine demi-glaze sauce & toast. ALL NEW Grilled or Crispy Chicken, with a 7 cheese blend and housemade Marinara all on a toasted bun.